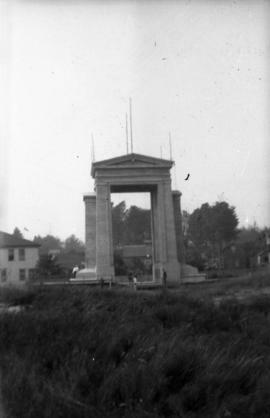 Item is a photograph showing Pierre Trudeau and group at the Habitat Forum site. 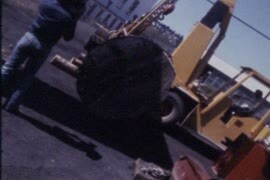 Item is a photograph showing Pierre Trudeau carrying baby Michel Trudeau at the Habitat Forum site. 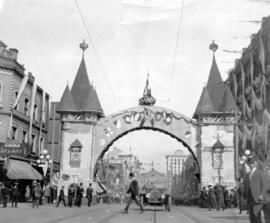 Arch at Granville Street and Dunsmuir Street. 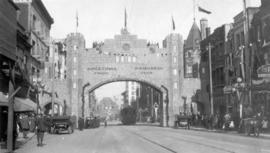 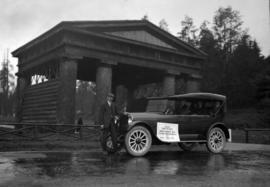 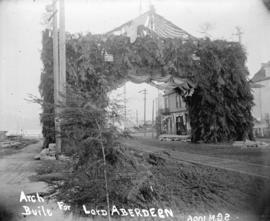 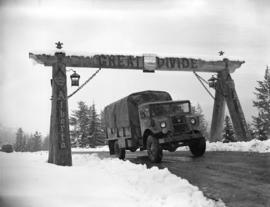 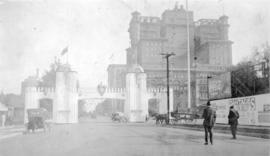 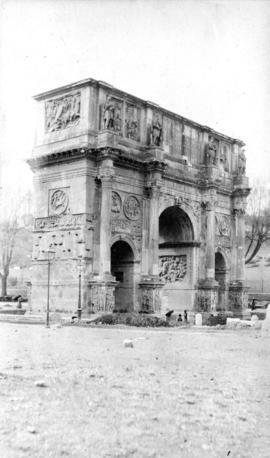 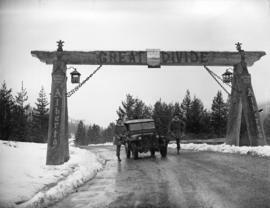 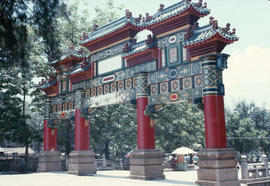 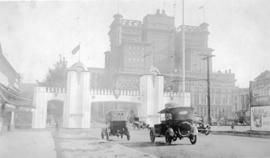 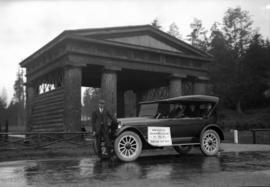 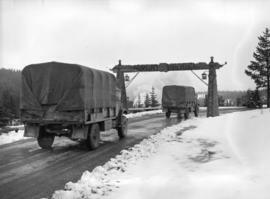 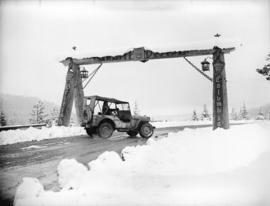 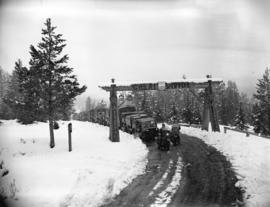 Item is a photograph looking north, of an arch at Granville and Dunsmuir Streets, erected for the Duke of Connaught's 1912 visit. 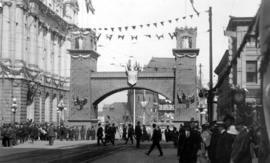 Written on arch is "Greetings from Progress Club". 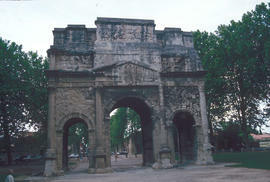 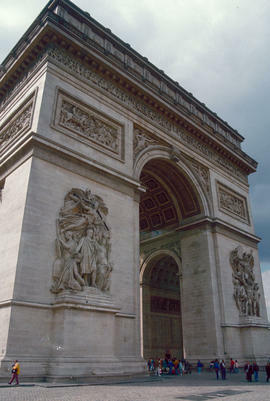 Image shows the Arc de Triomphe in Paris, France.